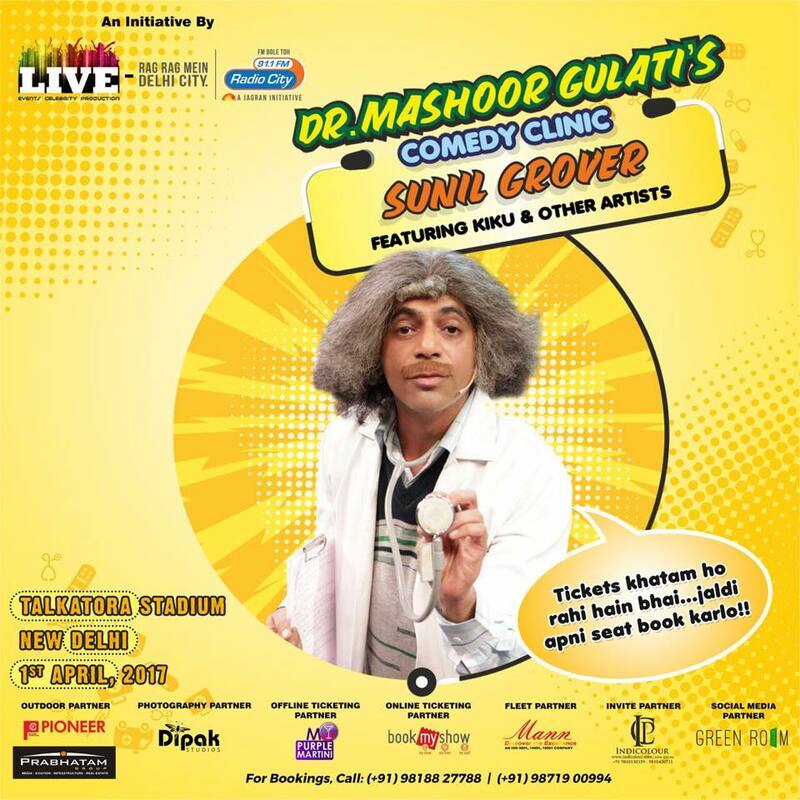 Sunil Grover's show Dr. Mashoor Gulati's Comedy Clinic gets great response in Delhi! Sunil Grover’s show Dr. Mashoor Gulati’s Comedy Clinic gets great response in Delhi! Comedian Sunil Grover has been in the news for the last few weeks, owning to his public fallout with Kapil Sharma. Post the fallout, the comedian announced that he will not return to The Kapil Sharma Show. Further, in an interview with leading daily Mid-Day the comedian- actor confirmed that he his deeply hurt by Kapil’s actions and will only focus on doing live shows. Sunil Grover was seen on television on Saturday April 1, 2017 after his brief break. He brought the characters of Dr. Mashoor Gulati and Rinku Bhabhi to grand finale of Indian Idol Season 9. Audiences and judges loved his performance and it’s right to say, that he was the heart of the episode. Sunil Grover brought forth seven of his avatars in his performance at the grand finale which left everyone rolling in laughter! A day later, on Sunday April 2, 2017, Sunil Grover was seen in a New Delhi as he did a live Stand up comedy show along with well known actors and friend kiku Sharda. The show called, Dr. Mashoor Gulati’s Comedy Clinic was a big hit with his fans! The venue saw audiences in full attendance and gave Sunil a grand warm welcome. From playing live with his fans on stage to dancing as Rinku Bhabhi and finding the right match for Guthi, he had the audience in splits! Guthi is his most loved role so far and it was good to have her back. “I am overwhelmed with everyone’s love and support. I want to thank them for taking out time for our show. I feel that love is ultimate because everything comes and goes but love will remain forever,” Sunil told several media reporter after the show, Dr. Mashoor Gulati’s Comedy Clinic ended. Dr. Mashoor Gulati’s Comedy Clinic was presented in collaboration with Radio City and Live Events and Entertainment. Stay tuned for more updates on your favorite comedian Sunil Grover exclusively on Bollywood Garam.